PCOS machines can be manipulated? Recently, we just have concluded the midterm election 2013. There were politicians that were vindicated, few or more were busted. We saw political dynasties trampled but we also observed that there were political dynasties became stronger. Some political candidates won via landslide but others won for only a few votes, and tossing of coin breaks the tie of two mayoralty candidates at one of the town in Oriental Mindoro. Impossible occurred in this 2013 midterm election, the reason; rumors, heresies, speculations and allegations about PCOS machines unreliable result has been the talk of the town. Is it true, is it possible that PCOS machines election results can be manipulated? The truth is, everything is possible under the sun. Yet! The old adage speaks of ” it takes two to tango”. Therefore, there is a need of connivance of two or more parties involved to make it happen. Let us first examine the PCOS security feature before proceeding on how it can be manipulated.1. PCOS machines needs this security key before it can be operated. Who holds that key? Of course, the COMELEC authorized personnel. In my opinion, I think we have no problem about this security feature, it is safer. 2. PCOS machines 256 – bit symmetric algorithm. It is an encryption technology that converts the PCOS source code into another form of text or cipher text so that it can never be understood by unauthorized individual. Can brilliant or genius hacker decrypt it? Maybe, but I am sure the election is already over and the candidates are already proclaimed before they can break it. Now, how can anyone possibly get the source code and manipulate it in favor of certain candidate?If someone in smartmatic leak it, that is the only possible way but impossible to happen. Why? Smartmatic is doing business, and in this kind of business that they are in, INTEGRITY must comes first or else they will lose there business. There is no amount that can bribe smartmatic. I believed.What is this source code that you are talking about?Just for the sake of argument, let us say smartmatic or someone from them disclose the source what will happen? The source code is the one that being programmed for each PCOS machine on how it will read our ballots. The PCOS machines being sent to Cebu has different source code compared to another PCOS machines being sent to Davao except for the national candidates. Why? Simply because Davao and Cebu has different candidates. Now, if brilliant programmer breaks in and able to read the source code he or she can change the way PCOS read our ballots. In standard reading, the PCOS machine read the shaded circle as one vote but the programmer can reciprocates it, instead the PCOS machine now read the unshaded as one vote. That is how dangerous it can be, but do not worry it is impossible to happen. 3. PCOS machine counts the votes, store the vote and the image itself. It is a double storage system, it doesn’t just count our votes but it takes an image of our ballots. This is helpful in case there is a protest because this security will surely determine the true counts. Is there anyway to by pass this security? Perhaps no, but there is one thing I observed, it is a common knowledge that not all voters vote in every election. Am I right? YES, that is the problem. The extra ballots can be manipulated, if COMELEC officer connives with the LGU. It can happen. How? But this is only applicable of a close fight scenario. Let us say, Mayor A sense that he will lose with a few votes by his challenger, now he will call the COMELEC officer and instruct to shade the extra ballots in his name to be sure of his victory. Yet, once again while this is very possible, I believe it cannot be. 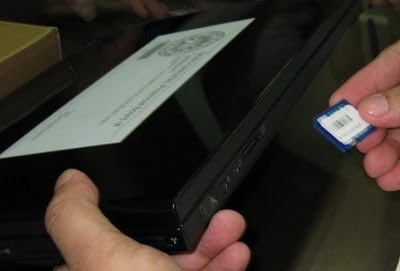 COMELEC will never ever allow this sort of cheating. In our conclusion, PCOS machine is far more safer than manual counting, where various kinds of cheating was being mastered. PCOS machine is new, that made it hard to be manipulated. However the will of someone (bad guys) out there, may jeopardize its credibility. Fortunately, there were so many out there that helped keep its integrity. That is you and me. All we need is to be vigilant for the betterment of this country.